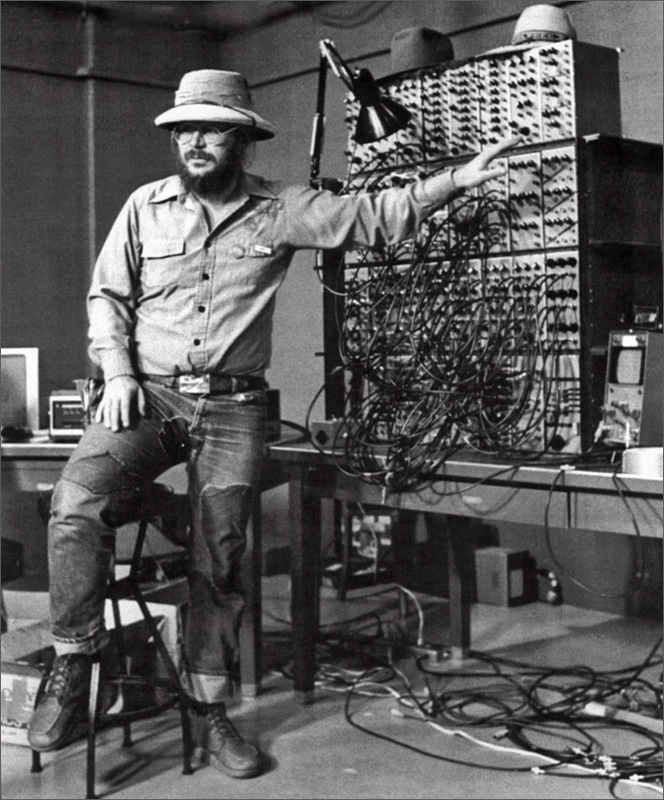 In 1969, Dan Sandin joined the Art and Architecture faculty at the University of Illinois at Chicago (UIC) to integrate computer and electronics into the art curriculum. He developed the Sandin analog image processer (IP) between 1969 and 1973. More than 20 copies of the IP were made, mostly by the artists who used them. Phil Morton made the first copy. The copying process created the full documentation of the IP that enabled other artists to ”copy it right.” The IP can be thought of as a video synthesizer patterned after the Moog model 2 audio synthesizer. In that role, it can be used to create and process video images as seen in Phil Morton’s Colorful Colorado. The IP is, however, a general-purpose analog computer optimized for processing video signals used for control, as in Interactive Installations.